Every State of the United States has legal authority regarding people present within its boundaries. A State does not have authority over a person present in another State. For example: If a person is wanted for a crime committed in Illinois is found in Florida, an arrest can only legally be made by Florida law enforcement personnel. To legally arrest a person wanted for criminal activity who is found in a state other than where the crime was committed and return that individual to the state charging the crime, there must be cooperation between the two states. There is a two-step legal process for this to happen. The first step is the issuance of an interstate arrest warrant. The second step is extradition. A judge commanding law enforcement officials to bring a wanted person before the court to answer to criminal charges issues the arrest warrant. If the crime is serious enough and the prosecuting authority is interested in finding the person and willing to bear the expenses of extradition, then an interstate warrant will be in effect nationally. 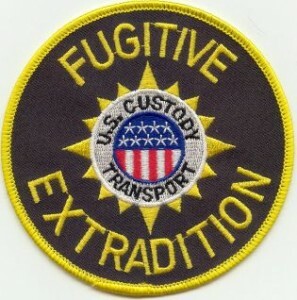 Technically the term extradition applies to a process of returning a fugitive from one country to another. This process is governed by treaty agreements between the two countries. The process between two states is one of rendering the fugitive by one state to another, or “interstate rendition”. The rendition process is governed by the US Constitution, federal statute and state statues. International extradition procedure differs significantly from interstate rendition. 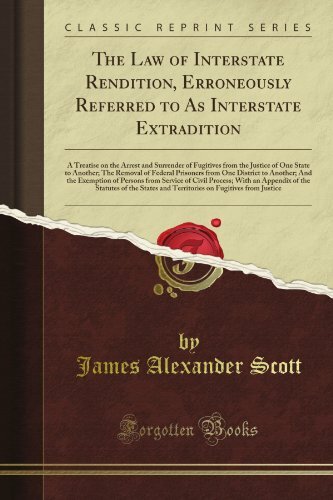 Despite the differences, the procedure between the states is commonly referred to as “extradition”. Extradition is the official process by which a state asks for and acquires from another state the custody of a suspected or convicted criminal. The manner in which extradition takes place among the states is governed by the United States Constitution, Federal statute and state law. Cases of kidnapping by a parent to another state automatically involve the US Marshall. If the demanding state does not take custody within 30 days, the prisoner may be discharged. 1This was not always the case. In Kentucky v. Dennison – 65 U.S. 66 (1860) the Supreme Court said the federal government was without authority to compel the governor of a sovereign state to surrender a prisoner to another state. Times had changed by 1987, when the Supreme Court, in deciding Puerto Rico v. Branstad, 483 U.S. 219, stated: “the Dennison holding as to the federal courts’ authority to enforce the Extradition Clause rested on a fundamental premise — that the States and the Federal Government in all circumstances must be viewed as coequal sovereigns — which is not representative of current law.” A demonstration of how the Supreme Court has functionally centralized power in Washington through its decisions. 2Here is a link to the UCEA as adopted by the State of Illinois.